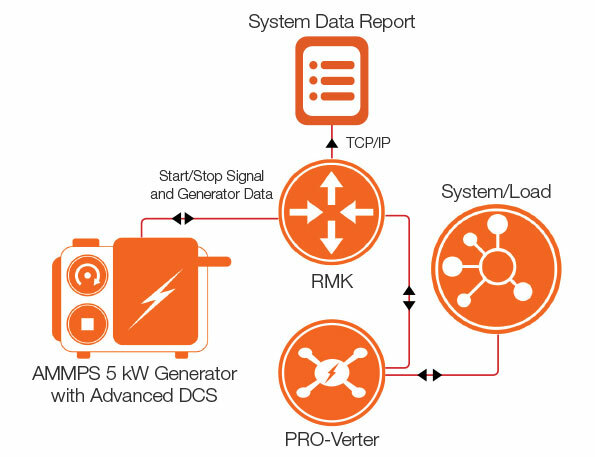 The Remote Monitoring Kit (RMK) with Auto Generator Start (AGS) capability is compatible with the AMMPS generator only. The AMMPS generator is equipped with an advanced digital control system (DCS) module that enables remote generator control by a power management device such as a Solar Stik PRO-Verter. 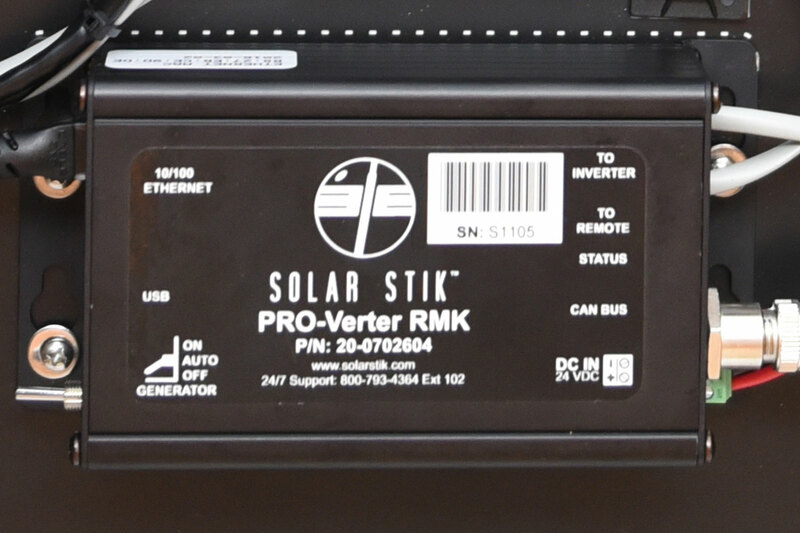 The RMK AGS provides a communication and control link between a PRO-Verter, the DCS, and the hybrid power system via CAN* connection. The PRO-Verter/RMK pair monitor the power system, and the RMK provides a signal to the DCS either to start or stop the generator whenever required. The RMK also reports system-operating data from the PRO-Verter to a local computer via Ethernet connection or to a remote location via TCP/IP. The RMK reports, records, and stores all of the system data from the PRO-Verter and provides tabular and graphical reports of these data via a user-friendly, browser-based user interface. *CAN (also referred to as CANbus or CAN bus) is a Controller Area Network that is used in many everyday products and consists of multiple microcontrollers, which need to communicate with each other. CAN is implemented in hardware in microcontrollers. No computer is required.